Jennifer Himmelreich (Diné) draws on her professional experiences with tribal museums, cultural heritage institutions, and mainstream oral history and mapping projects to create community translators who will control the conversations necessary to inhabit cultural heritage spaces on our terms. 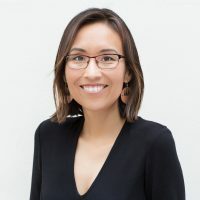 Her goal of connecting source communities with their collections, and her research in technology and access in indigenous communities has led to advisory and consultant positions with the Indian Arts Research Center at the School for Advanced Research, Storycorps, and most recently, Historypin. She currently works as the Program Specialist for the Peabody Essex Museum’s Native American Fellowship program in Salem, Massachusetts.